Initial teacher training should prepare trainees to work effectively with every pupil in their classroom, including those with SEND. Ever since the Carter review of initial teacher training in 2015, which reminded us that 'good teaching for SEND is good teaching for all children', practitioners and policy-makers have highlighted the variability in coverage of SEND in initial teacher training (ITT). The question remains: how can service providers equip a new generation of teachers with the apposite skills and knowledge to teach well for SEND? It's clear that the need for thorough, sustainable SEND training is greater than ever. An alarming number of teachers feel unprepared or unsupported to teach pupils with SEND, which raises urgent questions about the suitability and accessibility of existing training and CPD. monitor and refine the effectiveness of their new approach. These discussions culminated in the NASBTT ITT SEND toolkit, which was first launched in March 2017 and updated earlier this year. The toolkit includes an audit template with which providers can evaluate their own practice, and a bank of other materials to adapt. 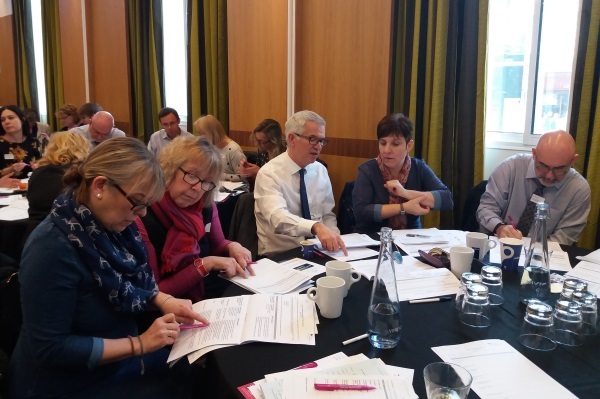 I recently spoke to Emma Hollis, executive director of NASBTT (@EHollisNASBTT) and Anita Devi, independent SEND consultant (@Butterflycolour) and working party member, to discuss the ideas underpinning the toolkit’s development and find out how it has been received so far. What led you to create an audit tool and toolkit that focus specifically on enhancing the role of SEND in ITT? Anita Devi: SEND training in initial teacher training (ITT) and education (ITE) has always been variable. Everyone thinks it's a good idea, but the 'how-to' was missing. Especially given it is initial teacher training or education. There is a lack of expertise among providers to develop structured and sustainable programmes with a clear SEND input. So we decided to develop an easy-to-use resource that was flexible for different providers, and could fit in with their planning and accountability cycles. Emma Hollis: Typically, exit interviews and the NQT survey reveal that trainee confidence is weakest in terms of their ability to teach children with a range of needs. You could argue that this is unsurprising﹘I think I would be suspicious of any experienced teacher who could honestly say they had high confidence in managing every possible need they might encounter, never mind trainee teachers and NQTs who are just embarking on their journeys. One of the aims of the toolkit was to help ITT providers explore wider principles with their trainees, with the understanding that learning is never 'complete'. How can providers use the audit tool and toolkit? AD: It starts with an audit. This is based on three strands, covering 18 elements (six in each) that emerged from a thematic analysis of the Carter review and the SEND Code of Practice (2015). The three strands cover professional practice, SEND expertise and the support systems needed to develop the trainee teacher during their initial year and beyond. The audit identifies both what's working and what's not working, and how we know. Providers fill in the audit in collaboration with relevant partners. These could be local authority officers, schools with expertise, placement schools, mentors, tutors and awarding bodies (e.g. universities). They then use resources in the toolkit to identify the gaps using iTRAC. Depending on the structure of their programme, providers choose what works best for them and is required to develop a broad and balanced teacher education curriculum. EH: The audit is useful in helping providers to identify what they 'don't know they don't know'. Our experience has been that there is huge support among providers for the idea of high quality SEND training, but with a crammed ITE curriculum it can be difficult to know what can be achieved and how best to achieve it. This tool helps with that process, giving a clear picture from which to develop their provision. What do we mean by ‘SEND expertise’ when thinking about what should be included in an ITT programme? AD: Our thematic analysis of the SEND Code of Practice and the Carter review led us to identify six core elements needed in any initial teacher training and later professional development. We also considered what the Code of Practice said about securing expertise at different levels (see pages 68–69). the graduated approach. This is non-negotiable. I tell trainees that they need to be able to explain this clearly for the NQT interviews. how to measure the impact of interventions. This is about how they use data. At initial training stage it may be support staff and the SENCO who provide data, but teachers need to know what questions to ask and how to interpret the answers. the milestones in a child or young person's development, and how to determine whether or not these are being reached. the four broad areas of need and specific needs within each area. Trainees can never fully know this, but a well designed programme will give them the skills they need to research more as they progress in their career. subject knowledge (at secondary level) and different pedagogical approaches to SEND. This is about trainees developing their ability to spot when a pupil is underperforming and discern if this reflects a special educational need. partnership and multi-agency working. This means working collaboratively with children and young people, parents and families, support staff and external practitioners. As an absolute baseline, we expect trainees to read chapters one and six (or five in early years settings) of the Code of Practice. How does the toolkit encourage providers to assess the impact of what they do? AD: The audit has a two-year shelf life. So after evaluating, providers have a full year to plan and embed their work into an academic cycle before needing to re-audit. EH: Providers are used to this process of reviewing and adapting. Each year they gather exit data, performance data, outcomes, trajectories, feedback from school placements and feedback from their NQTs and use this information to review and adapt their provision. The materials in the toolkit, and especially the audit, feed into this review process, where the measurable impact is recorded both in terms of the progress of the trainees themselves (in this case in relation to their confidence and competence in teaching children with a range of needs) and in the process made by children in their care. In the audit tool document you ask schools to record any examples of ‘innovative practice’. Have you received any examples so far? AD: The original toolkit was built on live examples and case studies of good practice. We continue to collect these. This is a work in progress. How does the toolkit help schools make sure that new teachers not only receive the initial training they need from the outset to support pupils with SEND, but also further opportunities to refresh and improve their practice? AD: One of the toolkit's 18 sections is 'Learning beyond ITT'. This was designed to help providers and trainees consider the NQT year and beyond, especially those who want to specialise in SEND. 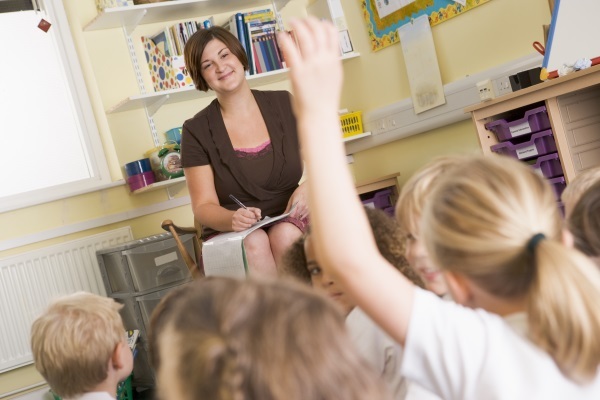 EH: We're heartened by the government's plans to ensure an entitlement to sustained CPD for all early career teachers. We believe that accredited training providers are perfectly placed to offer this support to early career teachers, building on the strong foundation of ITE. We hope that the plans for the early career framework will provide scope for this toolkit to be used in the continuing development of SEND expertise. How can multi-academy trusts create a shared framework of SEND-inclusive, school-based initial teacher training so that all academies demonstrate the same commitment to embedding SEND expertise? AD: Leading SEND across a multi-academy trust (MAT) requires a different style of leadership. One that states the non-negotiable as well as making space for schools to include the localised, community-based differences. It would be a mistake to assume a one-size-fits-all model for MATs. We will be exploring this in greater depth at the MATs Summit. What's next for the toolkit – any additions or refinements? AD: It's important to note that the toolkit is currently being used by ITT and ITE providers, so we're excited to see how we can shape it in response to their feedback. As Emma mentioned, we believe it offers a good foundation for the early career framework. You can find out more about the NASBTT ITT SEND toolkit via the NASBTT website. Hear more from Emma and Anita at the MATs Summit 2018, the flagship event for multi-academy trust leaders. Emma will be leading a discussion on how trusts can 'grow their own' through effective teacher training. Anita will be exploring how to facilitate strategic SEND leadership in a MAT.